Today, the generation and use of huge volumes of data are redefining our “intelligence” capacity and our social and economic landscapes, spurring new industries, processes and products, and creating significant competitive advantages. In this sense, data-driven innovation (DDI) has become a key pillar of 21st-century growth, with the potential to significantly enhance productivity, resource efficiency, economic competitiveness, and social well-being.Greater access to and use of data create a wide array of impacts and policy challenges, ranging from privacy and consumer protection to open access issues and measurement concerns, across public and private health, legal and science domains. This report aims to improve the evidence base on the role of DDI for promoting growth and well-being, and provide policy guidance on how to maximise the benefits of DDI and mitigate the associated economic and societal risks. 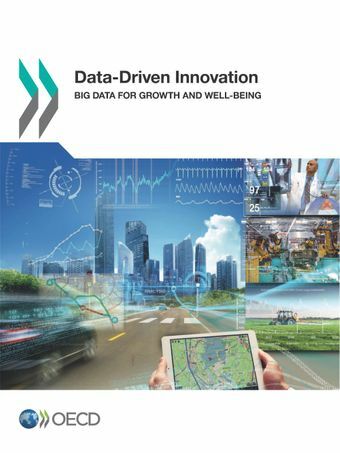 A new OECD report on data-driven innovation finds that countries could be getting much more out of data analytics in terms of economic and social gains if governments did more to encourage investment in “Big Data” and promote data sharing and reuse. The migration of economic and social activities to the Internet and the advent of The Internet of Things – along with dramatically lower costs of data collection, storage and processing and rising computing power – means that data-analytics is increasingly driving innovation and is potentially an important new source of growth. The report suggest countries act to seize these benefits, by training more and better data scientists, reducing barriers to cross-border data flows, and encouraging investment in business processes to incorporate data analytics. Few companies outside of the ICT sector are changing internal procedures to take advantage of data. For example, data gathered by companies’ marketing departments is not always used by other departments to drive decisions and innovation. And in particular, small and medium-sized companies face barriers to the adoption of data-related technologies such as cloud computing, partly because they have difficulty implementing organisational change due to limited resources, including the shortage of skilled personnel.